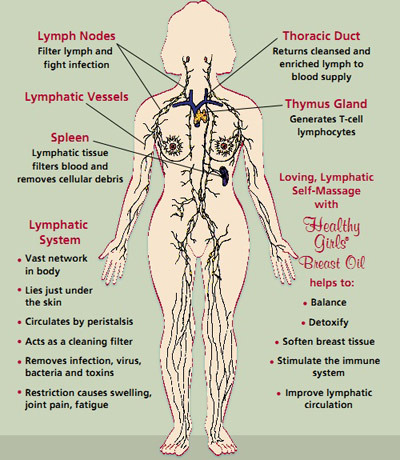 Lady Lymph Poster is a unique educational graphic. It describes the function of the lymphatic system, and how restriction can cause physical problems. It lists how Healthy Girls Breast Oil with a loving, lymphatic, self massage help to balance, detoxify, soften breast tissue, stimulate the immune system, and improve lymphatic circulation.